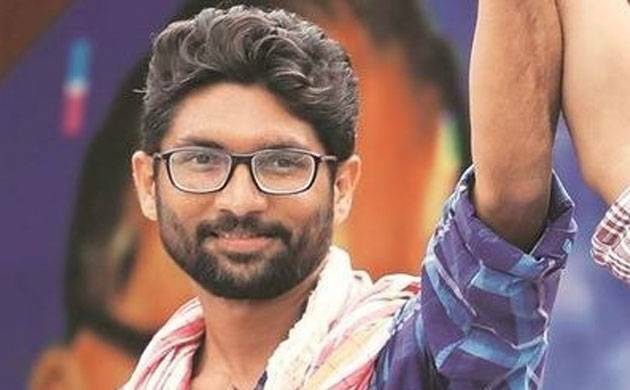 The Delhi Police on Monday said that Vadgam MLA Jignesh Mevani's request for holding a rally here tomorrow on Parliament Street has not been granted yet. The police had earlier said that Mevani's request was "under consideration". "No permission granted so far by Delhi Police to hold the proposed protest at Parliament Street in view of NGT orders. Organisers have been constantly advised to go to the alternate site, which they are reluctant to accept," the office of Deputy Commissioner of Police, New Delhi, tweeted on Monday. However, the organisers have confirmed to PTI that they would be going ahead with their plan. The Social Justice rally or Yuva Hunkaar Rally is planned to be addressed by Mevani along with Assam peasant leader Akhil Gogoi. The NGT on October 5 last year had ordered officials to "immediately stop all activities of dharna, protest, agitations, assembling of people, public speeches and using of loud speakers among others at the Jantar Mantar Road." One of the organisers and former JNU Students Union president Mohit Kumar Pandey said, "There has been a lot of attempts to stop this event and even some media houses are spreading wrong information that the permission for the rally has been denied." Ever since the rally was announced on January 2, "a lot of money has been spent on posters calling Mevani a deshdrohi (traitor) and urban naxal," Pandey told PTI, adding the event will be held as per schedule. Mevani could not be reached for his comments. In a statement, the organisers have urged the prospective participants to "assemble on the Parliament Street at 12 pm on tomorrow". The rally seeks to raise the demand for the release of Dalit outfit Bhim Armys founder Chandrashekhar Azad and emphasise on issues like educational rights, employment, livelihood and gender justice. A large section of students from universities and colleges in Delhi, women's groups, teachers associations and activists associated with Mevani from across the country are expected to attend the rally.